“I devoured every single word. This book is a direct-line-of-access to the most potent, powerful, divine guidance one can ask for. — Kelly Rae Roberts | Artist. Author. Possibilitarian. This book is filled with color illustrations from me, Lori, and written by my dear friend, Liv Lane. This book will forever change the way you connect to your calling, experience abundance, and create light in the world. 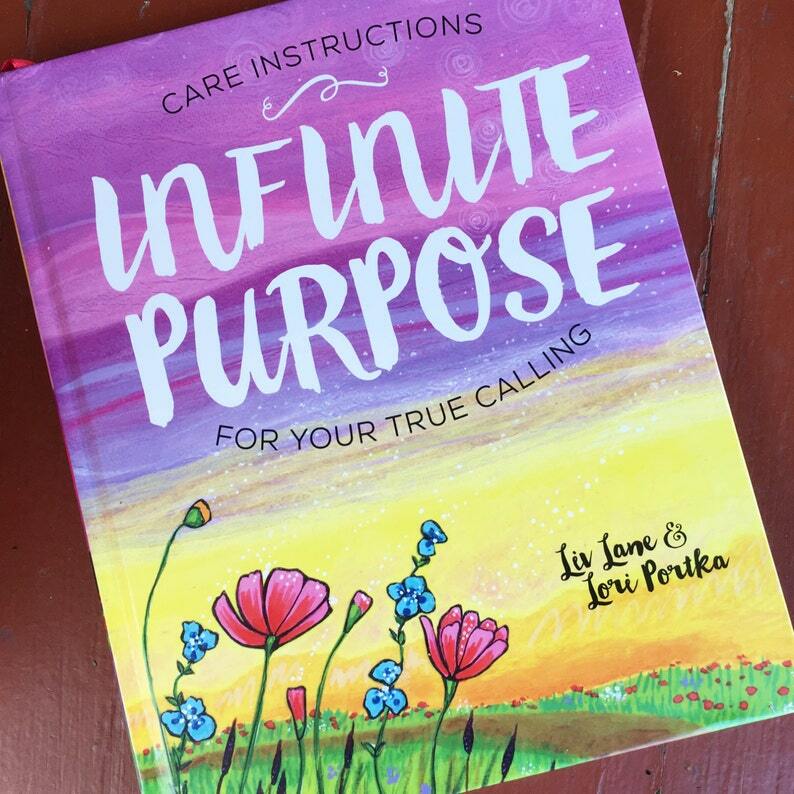 Infinite Purpose: Care Instructions for Your True Calling provides clear direction and divine inspiration to jumpstart your own spine-tingling journey to joy. The sacred teachings within, beautifully brought to life by two dear friends – intuitive Liv Lane and artist Lori Portka – reveal a profound eight-step path to purpose that is already changing lives and proving anything is possible. 2 friends. 8 steps. 1 incredible journey. This book contains teachings gifted to us by Spirit (we may never get over the amazingness of this! ), offered with the understanding we’d bring them to life – literally and figuratively. We’ve put our hearts and souls into doing just that, creating a guidebook rich with personal stories, visual inspiration, and sacred space for reflection to augment Spirit’s powerful eight-step path to purpose. We are dear friends – an intuitive and an artist – who never expected to work together, especially not like this. But in the fall of 2014, Spirit swooped in to deliver profound messages through Liv, inspired art through Lori, and specific instructions (yes, really!) for sharing them with the world. Holy wow. We couldn’t quite believe it; we were humbled by it, honored by it…and nervous to reveal it. The power of that experience was too strong NOT to move forward. So, we first disseminated those illuminating messages online, which made us terribly nervous and incredibly excited. We didn’t know if anyone would sign up, so we were shocked when over 250 people around the world registered to receive the teachings and artwork via email. What happened next stunned us even more: the profound changes so many of those people experienced, from changing careers to traveling the world, left us awestruck. Seeing them so immersed in deep joy and fulfillment convinced us that we needed to expand the reach of this work. We started working on a manuscript in February 2015 and envisioned it feeling like a treasure – rich, vibrant, cherished. So we opted to self-publish and held a crowdfunding campaign to help us cover the costs of printing this 8x10 hardcover, full-color treasure. Once again, we were stunned: in just three weeks, we received over $40,000 in pre-orders – a rare feat in the world of self-publishing and a clear indication to us that a book like this is so needed. We are so grateful for the lightning-fast creation of Infinite Purpose, for the incredible support from so many earth angels, and for everyone who is inspired by this book to cultivate joy and create more light in the world. You matter, magic makers. 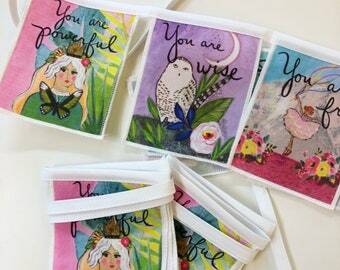 Lori Portka is a licensed artist whose mission is to spread love and happiness through the art she creates. 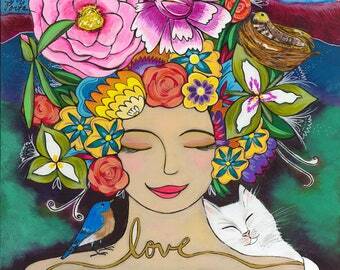 Lori’s distinctive paintings feature vibrant imagery and life-affirming messages dedicated to kindness, gratitude and being true to yourself. In 2015, Lori’s 100 Thank Yous project was the subject of a widely-celebrated short documentary film called Gratitude Grows. Her colorful artwork appears on greeting cards, prayer flags, and stationary merchandise at hundreds of retailers around the world. Lori lives in Asheville, N.C. with her husband Jay, their gentle-hearted greyhounds, and a calico cat. To learn more about Lori and her work, visit loriportka.com. Liv Lane is an intuitive adviser who has inspired thousands of brave-hearted, open-minded women to leap into their bright futures with clarity and confidence. For nearly two decades, Liv built a successful career in communications as a radio host, publicist, and media company co-founder, quietly leveraging her lifelong intuitive gifts to guide her decisions. But, feeling called to a deeper mission creatively and spiritually, she left corporate America in 2007. Today, Liv teaches popular personal growth classes and workshops, conducts individual intuitive readings, and speaks about the power of purpose, passion, and inspired action to audiences across the U.S. Liv lives in the Twin Cities with her husband Brad, their two sons, and an invisible army of angels. Find her online at livlane.com. Just started reading this but I love it! Beautifully written and illustrated! There is power in every word and brush stroke. Love, love, love this book. I'm half way through. Bought for four of my friends. Best book ever!!!! I accept paypal, credit cards, money orders and personal checks. All personal checks must clear the bank before I will ship the items. You do not have to have a paypal account to use paypal. Look for where it says "Don't have a paypal account? Use your credit card..."
All greeting card sales are final. If an unexpected problem arises, please contact me right away. I want you to be happy with anything purchased in this shop. All domestic purchases are shipped within 1 week of receiving payment. All items weighing under 13 ounces are shipped via first class mail. If the package weighs more than 13 ounces, it is shipped via priority mail. I take great care to make sure your package is wrapped safely. I love international customers! International customers are responsible for any customs duties, fees or taxes in their own countries. 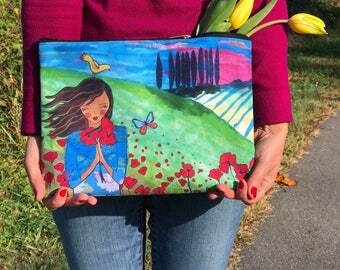 I am also looking for sales reps to carry my greeting card line. Please contact me if you are interested in licensing my work. I do not participate in Alchemy, but if you are interested in a custom order, contact me and we can discuss it further and see where it leads. A final note: all of my images are copyrighted by law. Please contact me for permission to use any of the work you see here. Thank you! Gallery Wrapped Giclée Canvas Print : Golden Solstice -24" x 24"